The benefits of sponsoring FC Britanico are considerable, with the chance for businesses to expose their name and branding to a wide range of people throughout the local community, existing sponsors and members. Your financial support will also help to ensure our long-term viability and success. The committee has initiated a number of programs to ensure sponsors receive value for their contribution and feel completely comfortable that their investment is being directed to our most important financial requirements and obligations. Our Sponsorship Packages offer a range of options to suit your business needs including naming rights, advertising signage at home games and a range of internet exposure options on our website. If you have specific requirements we can negotiate and tailor a personalised package that best suits your business. We consider that this flexibility, combined with the new initiatives put in place, makes sponsorship of FC Britanico a wise business decision. 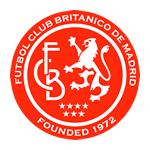 If you are interested in sponsoring FC Britanico take a look at our edoc below or contact me and I will be happy to discuss suitable and exciting options.